Known for leading the way in innovation and creating unforgettable fan experiences, Charlotte Motor Speedway officials announced plans Friday for the facility's latest modernization project, a multipurpose fan enhancement that will literally energize the sport and offer fans a bevy of new ways to watch the thrilling on-track action during May's 10 Days of NASCAR Thunder and for many years to come. The Turn 4 Sun Deck is the speedway's latest cutting-edge offering for fans attending events at the iconic 1.5-mile superspeedway, adding to improvements over the decades that have included innovative lights for night racing, a giant 16,000-square-foot Speedway TV, condominiums overlooking the track and luxury dining experiences with The Speedway Club. Combining the renewable resources of a 960-panel elevated solar farm and the unmatched views trackside outside of Turn 4, the Sun Deck offers fans and corporate guests a wide range of entertainment options from luxury motorhome campsites to cabana packages for small groups. The 42,000-square-foot deck will include food and beverage service, restroom facilities, picnic and high-top tables and a wide concourse with room for live music acts, corn hole and other entertainment. 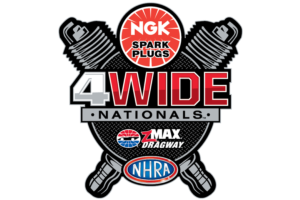 "Today more than ever we're seeing fans who want new ways to enjoy sporting events that go beyond the traditional at-track experience," said Charlotte Motor Speedway President and General Manager Marcus Smith. "Fans want to feel that sense of community. They want the flexibility to leave their seats to interact with other fans and have fun, but they still want to stay on top of the action. The Turn 4 Sun Deck will provide that perfect balance." On the eve of Earth Day, the rollout of the Turn 4 Sun Deck also highlights the speedway's commitment to being a responsible environmental partner, harnessing the clean power of solar energy to reduce the speedway's carbon footprint. Consisting of 960 photovoltaic modules (solar panels), it is estimated that the Turn 4 Sun Deck will collect more than 375,000 kilowatt hours of energy annually. That amount would be enough to power all of the more than 3 million LED lights at Speedway Christmas for more than a year, the 16,000-square-foot Speedway TV for three months or 416 average American homes for a month. 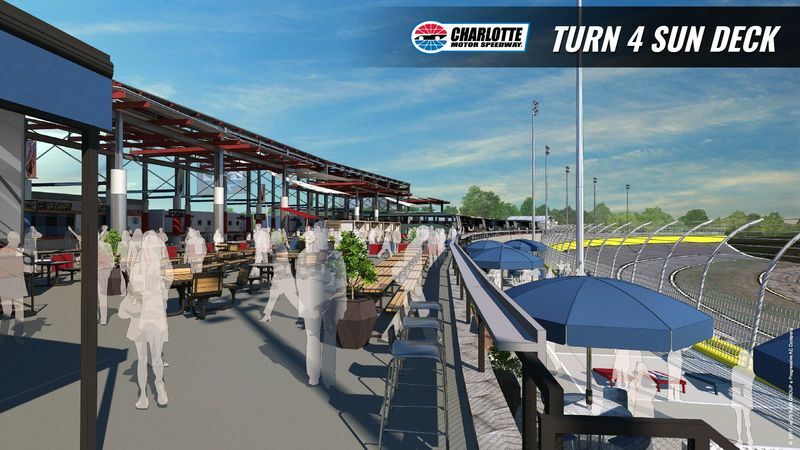 For more information about ticket packages and amenities available in the new Turn 4 Sun Deck, contact that Charlotte Motor Speedway Corporate Sales Department at 704-455-3203.